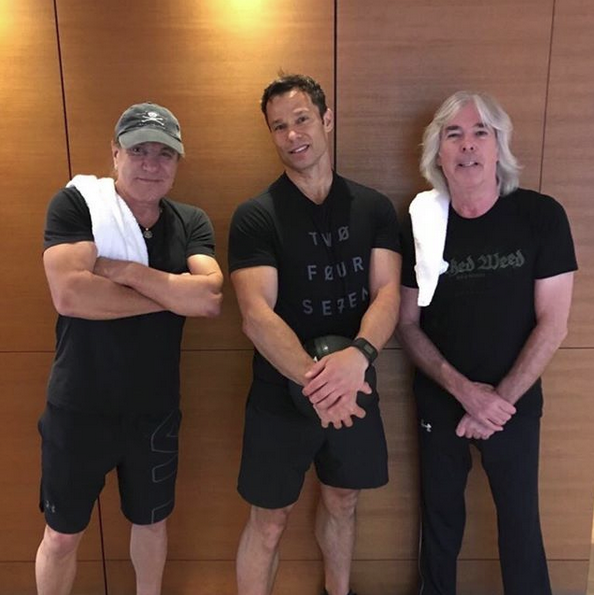 Twitter user and personal trainer ‘El Toro24′ uploaded the picture of himself standing alongside Williams and AC/DC lead singer Brian Johnson in the gymnasium of the Shangri-La Hotel, Vancouver. The image is the first of Williams to surface from the time of the reported August 2018 recording sessions at Vancouver’s Warehouse Studios. The user who uploaded the photo can also be seen recording Brian Johnson congratulating the band ‘Headstones’ on the 25th anniversary of their album ‘Picture of Health’, in a video posted last September. Williams had previously announced his retirement from the band following the Rock Or Bust World Tour in 2016, leading to speculation over who might fill the vacant bass slot. The posting of the image has renewed excitement over a possible new release, and follows a claimed encounter between Brian Johnson and members of the band ‘Terrorizer’ earlier this month, during which Johnson reportedly confirmed a new AC/DC album. The personal trainer also tweeted in response to a recent Eddie Trunk tweet, stating that he had trained with the two AC/DC band members for ‘two months’. The tweet has since been deleted. There’s still no official word from AC/DC on a new album. 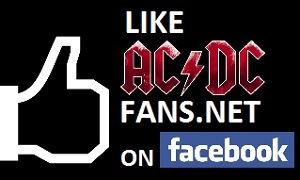 Follow developments as they happen in the AC/DCfans.net forum. Great article. Can’t wait to see the band on tour again! but they’d rather make a shitload of cash. And which decade gave birth to disco music, and disco craze? They are my go-to band that could do no wrong efforts I am concerned. Rock n roll nana, that’s great Keeping the spirit of rock music alive!